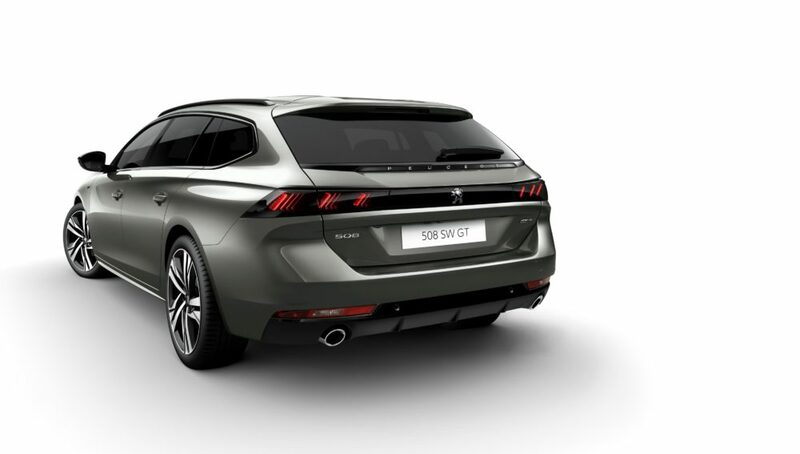 Peugeot has unveiled the all-new SW version of the Peugeot 508, which is designed to enter the highly competitive D-segment estate car market. The interior of the all-new Peugeot 508 features ergonomic, wrap-around seats offering five multi-point massage programmes, a range of premium trim and upholstery materials and a panoramic opening glass roof. With the aid of the Magic Flat function, allowing the driver to fold back the two sides of the rear bench seat, the all-new Peugeot 508 SW boasts a total load space capacity of 1780 litres. Of this total volume, 530 litres comes from the boot (with luggage cover closed), designed to be simple in shape and entirely practical, with hands-free, powered tailgate. Alongside the latest generation Peugeot i-Cockpit, providing all the information essential for the road ahead, the driver can enjoy the latest in-car sound system with a top of the range hi-fi system designed by FOCAL with 10 loud-speakers. The two new petrol options – a 180 S&S EAT8 and 225 S&S EAT8 – are based on the PureTech 1.6-litre engine. Four diesel options are based on the BlueHDi 1.5-litre and 2.0-litre – a 130 S&S BVM6, 130 S&S EAT8, 160 S&S EAT8 and 180 S&S EAT8. The petrol engines are certified to Euro6d-TEMP and the diesel engines are certified to Euro6d-TEMP-EVAP. In ECO mode, when twinned with the EAT8 gearbox, the PureTech engine automatically switches to freewheeling mode. This function, available between 25km/h (15mph) and 130km/h (80mph), eases internal friction in the gearbox and reduces fuel consumption by around 3 per cent.